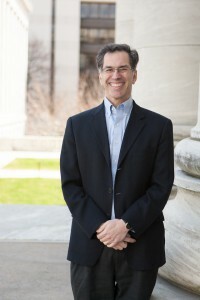 Elliot L. Chaikof, M.D., Ph.D., is Chairman of the Roberta and Stephen R. Weiner Department of Surgery and Surgeon-in-Chief at the Beth Israel Deaconess Medical Center (BIDMC), as well as the Johnson and Johnson Professor of Surgery at Harvard Medical School. He is a member of the Wyss Institute of Biologically Inspired Engineering of Harvard University and the Harvard Stem Cell Institute. Dr. Chaikof received his B.A. and M.D. from Johns Hopkins University in Baltimore and his Ph.D. in Chemical Engineering from the Massachusetts Institute of Technology, where he focused on the design of artificial organs. He completed his training in General Surgery at the Massachusetts General Hospital and in Vascular Surgery at Emory University School of Medicine in Atlanta. Dr. Chaikof’s basic research interests lie at the interface of medicine and engineering. Leading collaborative research efforts with clinicians, engineers, and biologists, Dr. Chaikof has designed new strategies that have advanced the development of engineered living tissues, implantable devices, and artificial organs, as well as cell-based therapies, which have helped to define the evolving field of Regenerative Medicine. Dr. Chaikof’s laboratory has received more than $25 million in federal funding from the National Institutes of Health and the National Science Foundation, as well as support from the American Heart Association and the Juvenile Diabetes Research Foundation. He served as the Emory Principle Investigator for a $40 million dollar, 10-year award from the National Science Foundation that funded the Georgia Tech/Emory Center for the Engineering of Living Tissues. Nearly two dozen patents have been issued or filed based on work in his laboratory and have been licensed for improving the care of patients. Dr. Chaikof’s technology has lead to the formation of Cool-Bio, Inc., which is focused on the development of temperature sensitive platelet inhibitors. Dr. Chaikof’s clinical interests focus on the treatment of vascular diseases of the aorta, carotid, and peripheral arteries. In 1994, he initiated one of the first programs for endovascular aortic aneurysm repair in the United States and was among the core group of principal investigators that conducted the first FDA approved clinical trials of stent-grafts for repair of abdominal and thoracic aortic aneurysms. He has been responsible for the formulation of national best practice guidelines for the treatment of aortic aneurysms. Dr. Chaikof came to Harvard Medical School in 2010 from Emory University, where he held the John E. Skandalakis Chair of Surgery and was Chief of Vascular Surgery. He continues to serve as an Adjunct Professor at the Georgia Institute of Technology in the School of Chemical Engineering and the Department of Biomedical Engineering. He served as President of the Atlanta Vascular Society, as well as the International Society of Applied Cardiovascular Biology. Dr. Chaikof has been listed in the Castle Connolly guide of Best Doctors in America and was regularly named one of Atlanta’s Top Doctors by Atlanta magazine and most recently by Boston magazine. He has published more than 250 articles in major surgical journals, the New England Journal of Medicine, and Nature as well as in leading journals in the fields of engineering and chemistry. Dr. Chaikof’s leadership of clinical units and large projects that span and bring together schools of medicine and engineering and constituency organizations has contributed to public policy designed to improve the quality of care of the surgical patient.